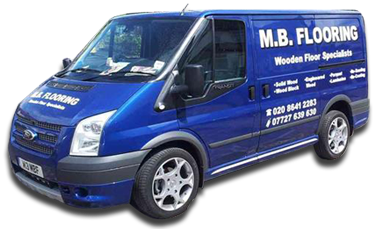 At MKB Flooring we provide reliable and affordable wooden floor services to domestic and commercial customers throughout Surrey, London and surrounding counties. 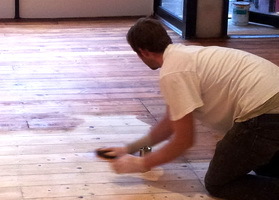 With over 10 years in the trade, our clients include homeowners and landlords through to hotels, schools and museums. 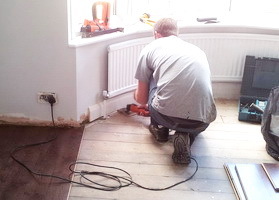 Professional Wood Flooring Services include: Laying Strip Flooring, Laminate Flooring, Engineered Flooring, Wood Block, Parquet Flooring, Re-sanding, Re-coating, Repairs, Floor Levelling, Filling, Staining, Varnishing and more. 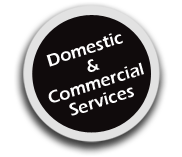 Whatever your requirements may be, we can be sure to meet it. 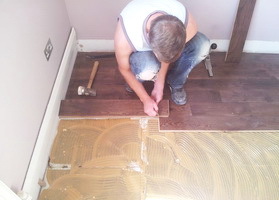 No hassle, free quotes and estimates are available on request so for further information simply telephone us on 0208 641 2283, 07727639630 or email info@wood-flooring-surrey.com we would be more than happy to help.